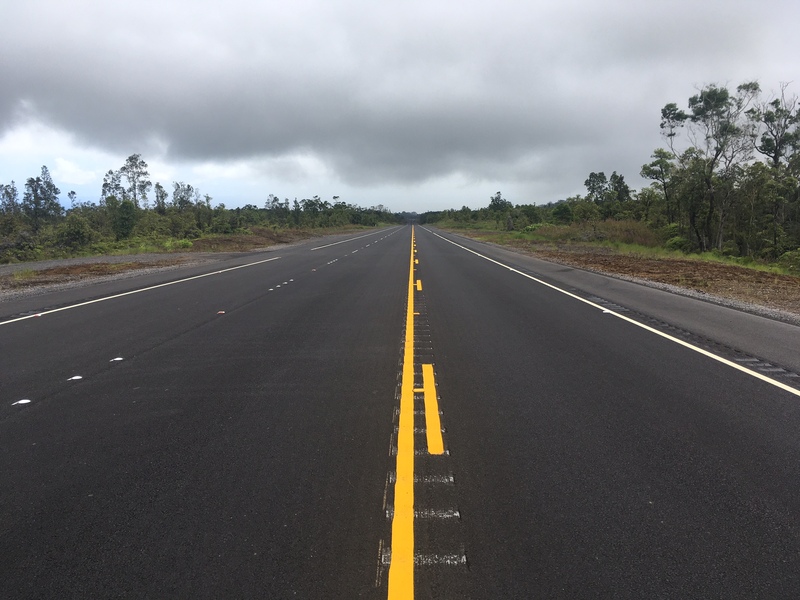 HILO – The Hawaii Department of Transportation (HDOT) and the Federal Highway Administration (FHWA) are pleased to announce the opening of the final phase of reconstruction on the east side of Saddle Road, now known as the Daniel K. Inouye Highway. 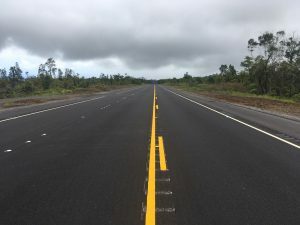 The improvement connects the existing highway near milepost 11 to the west end of the Puainako Street extension. “This project was of great importance to Dan as it connects east and west, providing safer access for all travelers, as well as economic opportunities for Hawaii Island residents. He tried to make every groundbreaking and celebration, dating back to 2004. I am pleased that the 48-mile road is complete and so honored that it bears Dan’s name,” said Ms. Irene Hirano Inouye, wife of the late Senator Daniel K. Inouye. The Saddle Road East Side project encompassed a total of nearly six miles of highway, reconstructing approximately three miles of the existing Daniel K. Inouye Highway, upgrading the roadway to modern design standards and including safety features such as 8-foot shoulder lanes, straighter alignment and a climbing lane, and adding three miles of new road. The project also increased the overall highway capacity and removed potential conflicts between military operations and public traffic. The cost was $57 million, which was within the allocated budget. 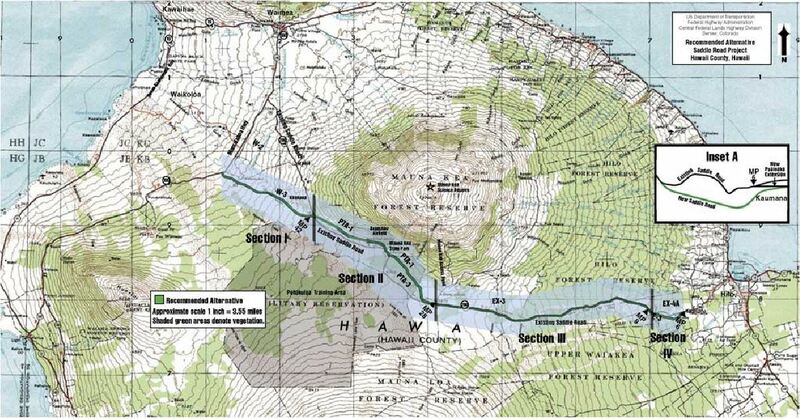 This joint project between HDOT and FHWA presented unique challenges such as varying subsurface conditions from aʻa, pahoehoe, dense basalt, and volcanic ash and the need to address precautionary measures necessary for containment, treatment and placement of cleared timber to help prevent the spread of the Rapid Ohia Death fungus. 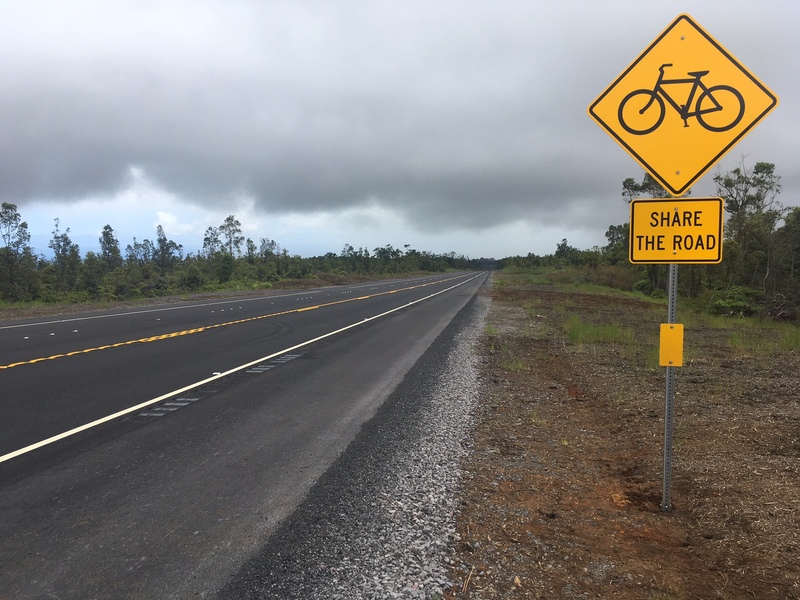 Funding for the Saddle Road projects was made possible through the U.S. Department of the Army Defense Access Road and Ecosystem Management Programs, U.S. Congress, and Hawaii Department of Transportation. Previous phases of the Saddle Road Improvements widened and aligned more than 41-miles of road. 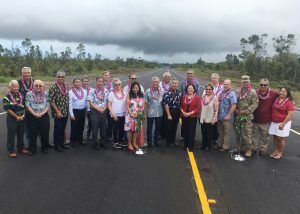 The east side phase opened today makes for a total of nearly 48 miles of road that has been improved to modern standards at a total approximate cost of $316.5 million, of which the U.S. Army contributed more than $100 million. Saddle Road was initially built as a one-lane road by the U.S. Army in 1942 to connect military training facilities. 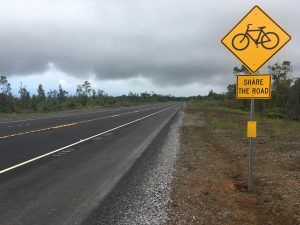 The Daniel K. Inouye Highway, State Route 200, begins at the outskirts of Hilo near milepost 6 and extends westward to Mamalahoa Highway State Route 190. The road passes through the saddle between the Mauna Loa and Mauna Kea volcanoes. The Daniel K. Inouye Highway climbs nearly 5,500 vertical feet from its eastern terminus to its mid-point. The rainfall gradient along the highway ranges from 10 inches to 200 inches per year, which posed an additional challenge for crews during construction. 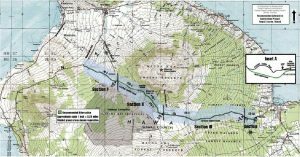 The 2013 Hawaii Legislature passed Senate Concurrent Resolution 43 to rename the upgraded section of Hawaii Saddle Road to the Daniel K. Inouye Highway. Group photo from the dedication of the final phase of the Daniel K. Inouye Highway improvements. 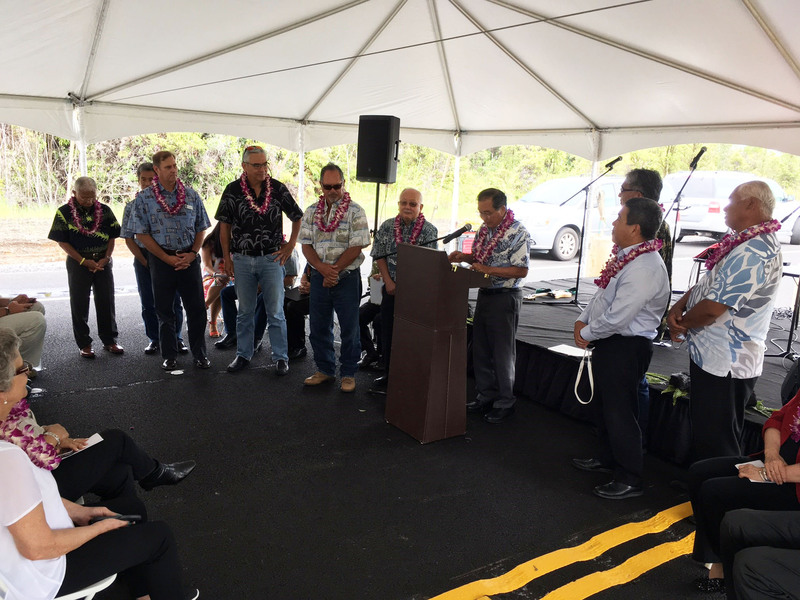 The Saddle Road/Daniel K. Inouye Highway task force committee being recognized during the ceremony. Photo of the new Daniel K. Inouye Highway. Graphic showing the Saddle Road/Daniel K. Inouye Highway improvement phases.